Then the students became outraged at their exclusion. Echoing the older generation’s tactics, they banded together to organize their own independent exhibition, one that would prove more successful and important than their elders’. The Art Institute students joined with peers from the Institute of Design and began to plan their own show, which they called Exhibition Momentum. 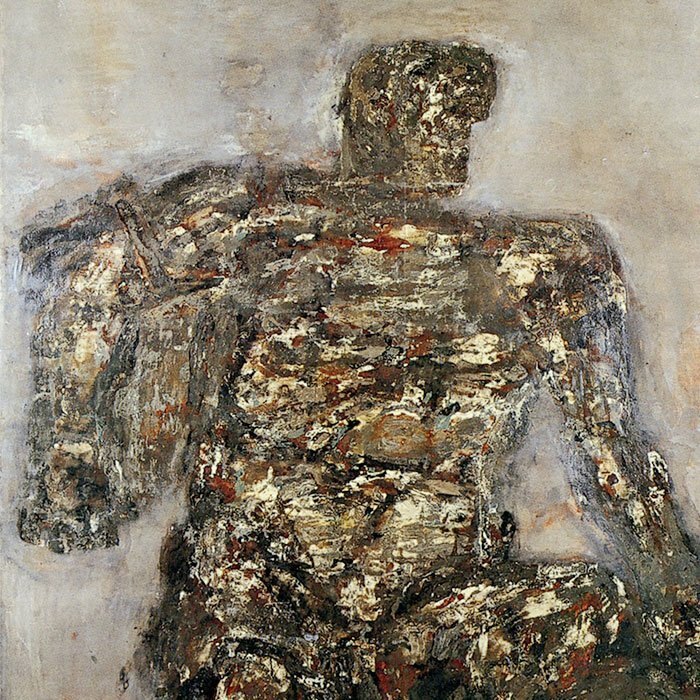 The painter Leon Golub was one of the leaders of the group and, like many of the other students, was a veteran studying at the SAIC on the GI Bill. 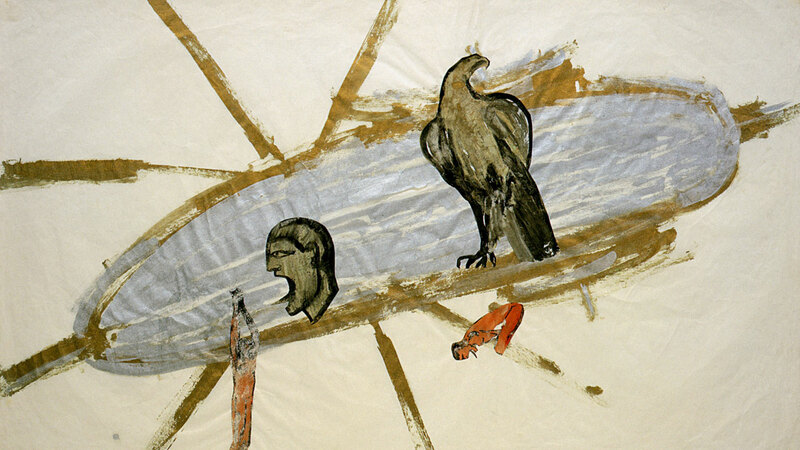 He and several other students from the SAIC, including his future wife Nancy Spero, eventually became known as the Monster Roster, producing dark, grotesque works that went against the predominant style of the time, abstract expressionism. The Institute of Design students had a different aesthetic. Grounded in the industrial, design-focused teachings of their school, they created more abstract work that sought to utilize materials in new ways. 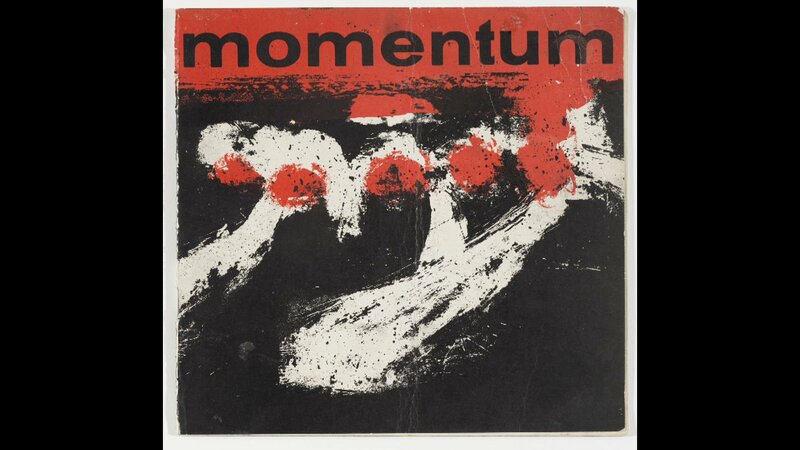 For the first Exhibition Momentum, the students secured space at Roosevelt University and a three-person jury that included the famed artist Josef Albers. Anyone who lived within 100 miles of Chicago was welcome to submit work; Golub, Spero, June Leaf, Don Baum, Gertrude Abercrombie, Robert Nickle, and Art Sinsabaugh were among the 78 artists exhibited. Exhibition Momentum continued to present shows for the next decade, featuring on its juries such luminaries as art critic Clement Greenberg, architect Ludwig Mies van der Rohe, and painter Jackson Pollock. The last Exhibition Momentum took place in 1957, having offered many of Chicago’s young artists a bright beginning to their careers outside the bounds of the city’s traditional institutions.